John Quinney is on a quiet mission. Every so often, he drives from his home in Charlotte to Burlington, where he might go to two dozen restaurants or more in one evening. But Quinney's visits are fast and foodless. He goes to restaurants to measure the decibel level in the dining room or at the bar with an iPhone app called SoundPrint. Quinney, whose mission is self-appointed, is interested in decibel levels because he has hearing loss. He enjoys eating out, and the information he gathers can help him and other people identify quieter restaurants that are more conducive to conversation. The sound measurement takes about 15 seconds to procure, during which Quinney walks through the dining room with the SoundCheck function of the app turned on. If anyone asks what he's doing, he says he's doing research on sound. After the app measures the noise level, Quinney hits the submit button, and the decibel measure joins a repository of such data: About 42,000 noise readings from restaurants and bars in various cities — including 15,000 from New York City — make up the SoundPrint database. The simple-to-use touchscreen device relies on crowdsourcing for the decibel data. Users of the app can both gather and access information about noise levels. "Because I wear hearing aids, noise levels are really important," said Quinney, 68, who retired in late 2017 as the general manager of Energy Co-op of Vermont. "I'm not going to eat in a poor restaurant because it's quiet, and I'm not going to go to a really noisy restaurant regardless of how good the food is." Quinney has collected data at local restaurants since June, amassing about 150 SoundPrint submissions that can be attained through the app's search function. For example, Trattoria Delia, an Italian restaurant on St. Paul Street, scores 68 (quiet), according to the app. Pizzeria Verità, the neighboring pizza restaurant, is 77 (loud). Both readings are based on five sound checks, as indicated by SoundPrint. "I usually can tune out sound I think is inappropriate," said John Rao, co-owner of both Trattoria Delia and Verità. He was in the lobby of his pizza place when Quinney arrived with his app one night in mid-September and explained what he was doing. "I'm accepting of most noise levels depending on the energy of the restaurants," Rao continued. "There are people who come in [to Verità] and say, 'We love this energy.'" "I've been wearing hearing aids for the last four or five years, and they help a lot in many situations," Quinney said. "But in other situations, like restaurants or bars, they're of limited use." With hearing loss, he said, "you find your world shrinking. I want to overcome those limits as best I can so the quality of my life is as good as it can be." Gregory Scott, who lives in Manhattan and works in the financial industry, was the creative and financial source behind SoundPrint; he outsourced the technology. It was in beta development for about a year before launching six months ago. Also a person with hearing loss, Scott, 42, who wrote by email that he goes by his first and middle names for business purposes, sought objective and reliable information that would be helpful for social situations. "It was important to connect [with people] and not have anxiety," he said in a FaceTime interview. "We're really just beginning" to get significant amounts of data, Scott noted. "John is an ambassador for the app. He's done an amazing job. My projection [for SoundPrint] is growth." More than 20,000 people have downloaded the app to date. "Crowdsourcing sound levels at venues is a way for people to help each other discover quieter places for conversation," Scott continued. 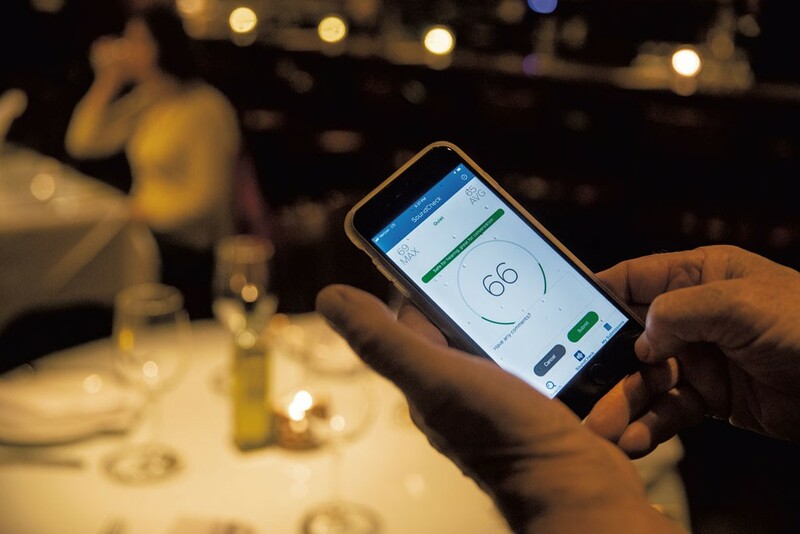 The information is also useful for restaurant and bar employees, who can be exposed to elevated decibel levels for long periods of time, he said: "It empowers people to show [to] management [data] about noise." Audiologist Julie Bier, 37, has a practice called Better Living Audiology with offices in South Burlington and Middlebury. People commonly come to her because of difficulty hearing in social situations. Clients will tell her: "It's just all noise, and everything's mumbly," Bier said. "One of the things I hear all the time is, 'When I go to a restaurant, I can't hear.'" Depending on the level of each person's voice, conversational speech is typically between 50 and 70 decibels, Bier said. When the level of background noise is the same as or higher than that of conversation, the brain has a "much harder time piecing that apart," she explained. This relationship is known as the signal-to-noise ratio, in which the signal is what you're trying to hear, and the noise is competing with it. "Different people can tolerate different levels," Bier said. "Someone with normal hearing who is younger might be able to do well where the signal and noise are equal, but if you bring the noise up above the speech, [they] will start to have trouble." For elderly people or people with hearing loss, a signal-to-noise ratio of zero could be difficult, Bier said. "They may always need the signal to be five or 10 decibels higher than the background noise in order to be able to process it," she explained. 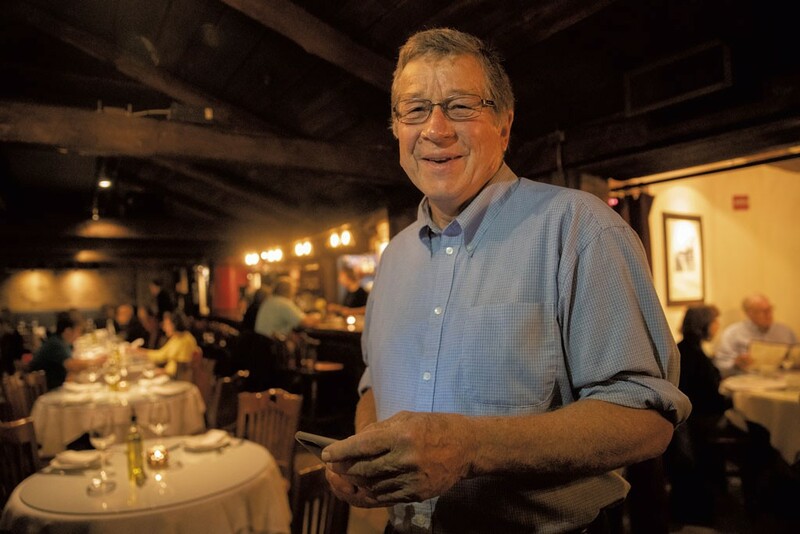 Restaurateurs try to balance customers' comfort levels and expectations with a "happening" atmosphere, said Lyndon Virkler of the New England Culinary Institute, where he has taught for 30 years. "The noise level is also indicating a level of activity that stirs the excitement," he said. "It's interesting to see the scene; [sound is] a positive aspect." The appropriate atmosphere, including the amount of noise, depends on the kind of dining, Virkler added. "With fine dining, we have expectations for a quieter dining [experience]," he said. "With a casual place, the expectation is for more activity." The Farmhouse Tap & Grill (78, loud) is the first of four local restaurants founded by the Farmhouse Group. It opened in 2010 in a renovated McDonald's on Bank Street in Burlington. "It was deafening" in those days, said owner and president Jed Davis. "It was terrible." Staffers had a hard time hearing customers' orders or said they had a "splitting headache" at the end of the shift, Davis recalled: "It's one of the many things we got wrong with Farmhouse on day one that we've corrected since." About 15 months after Farmhouse opened, after researching methods to mitigate the noise, the owners carpeted the tile floor it inherited from McDonald's and installed a set of banquettes. The vertical dimension and soft surfaces of the booths in the middle of the dining room help break up the sound. In designing a restaurant, the Farmhouse Group takes into consideration a number of factors including materials, style of seating, table spacing and desired atmosphere, Davis said. A casual or "vibey" restaurant should have a certain buzz, he said. "I have all kinds of issues with noise," Davis said. "If the noise has a hard edge to it, then I think it's unbearable, versus a softer roar, which is kind of cool." The usefulness of SoundPrint depends on people contributing to it, Quinney said. He is hopeful more people in the Burlington area will start using the app when they eat out — or just walk into restaurants for a quick decibel measure. The app confirmed what experience showed him: A Single Pebble is quiet (68). The original print version of this article was headlined "Sound Man"